With the hunting season’s upon us, lets put all of that dog training you’ve done all summer to good use. 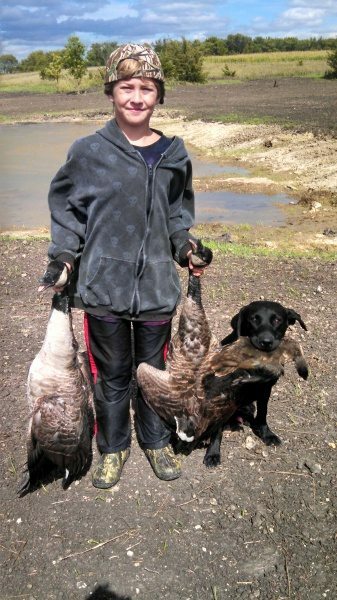 It get’s very easy for everyone to want to go out into the field and shoot some birds for your new young retriever. But, you will find that if you take the moment and put your gun down you will be further ahead. There are many things that just need to get learned out in the field for your new hunting partner. Take advantage of the timing and let a buddy do the shooting and handle your dog instead of shooting yourself. With doing this your retriever will learn that what goes in training will also hold true out in the field. You will be able to insure that your retriever stays steady, which in turn help them out with their marking of downed game. The time spent handling early on will pay off ten fold in the years to come.